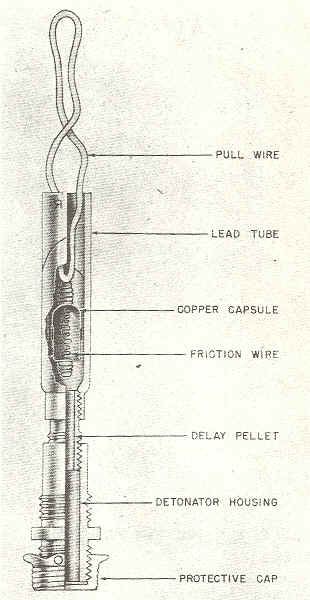 Two types of pull fuzes were used with the German stickgrenade, Brennzünder 24 and Brennzünder 39. 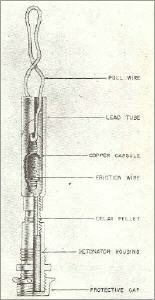 Both have the same delay and operation, but are constructed differently. 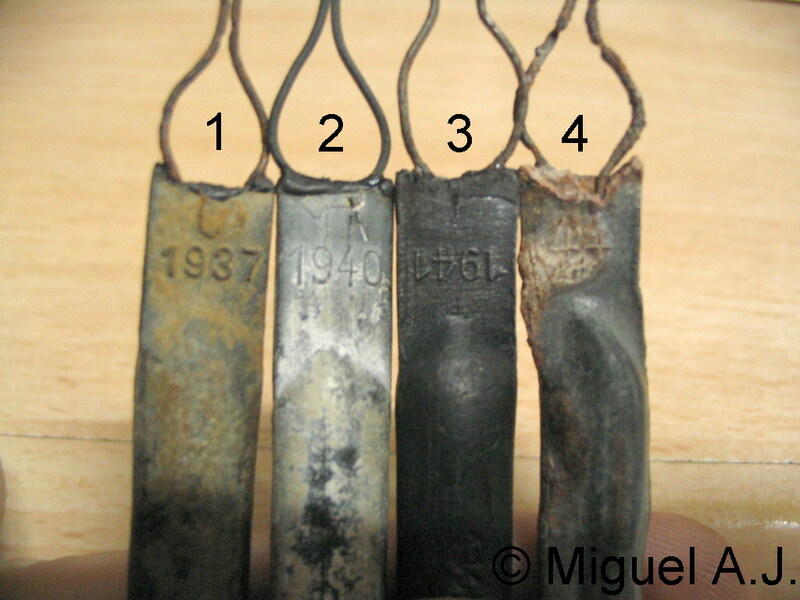 The model 24 has the friction wire covered with friction compound in a lead sheath. 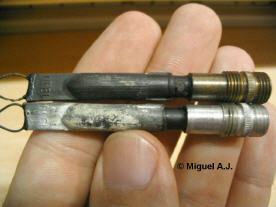 1: Prewar BZ24 1937 dated Brass connector w. Brass/Copper Sprengkapsel No8. 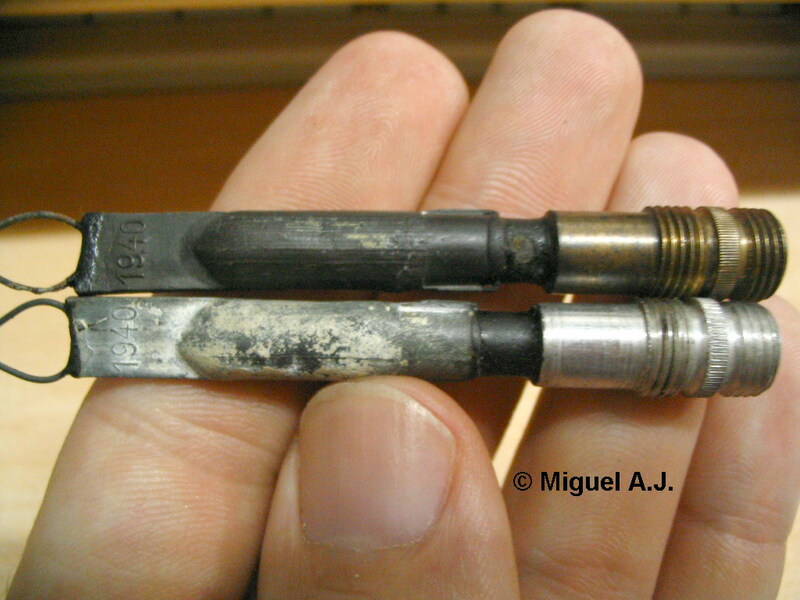 2: Early war BZ24 1940 dated Aluminium connector w. Aluminium Sprengkapsel No8. 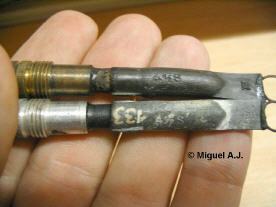 3: Mid war BZ24 1941 dated Aluminium connector w. cut Brass/Copper Sprengkapsel No8. 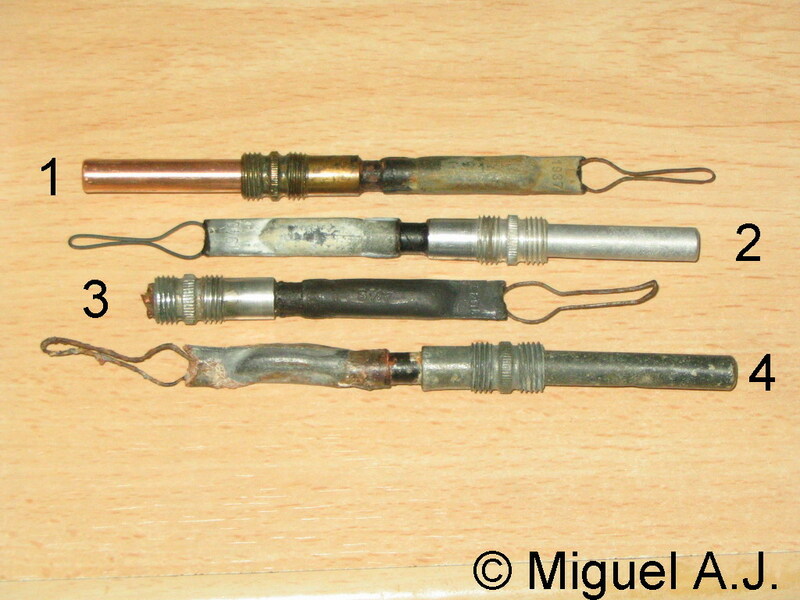 4: Late war BZ24 1944 dated Zinc connector with Zinc Sprengkapsel No8. The two fuzes below are same manufacturer, same year, but both have different connectors. 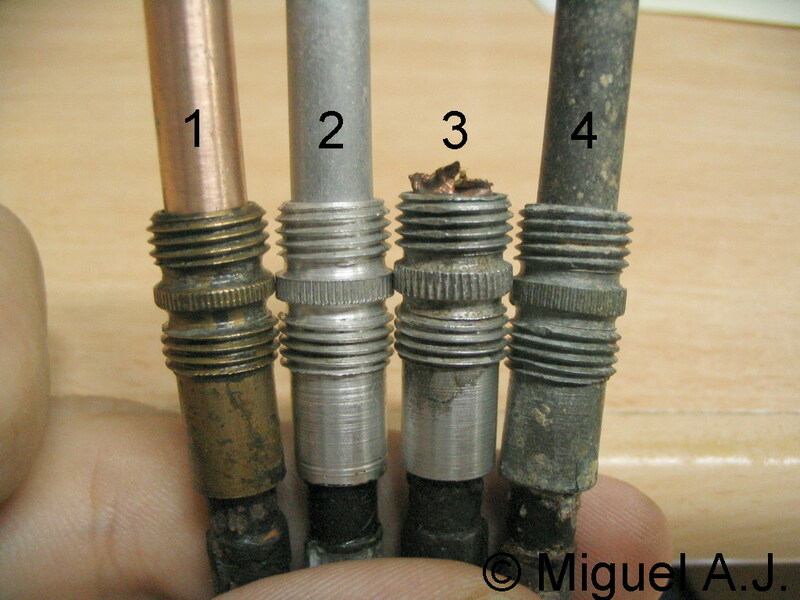 Brass and Aluminium.